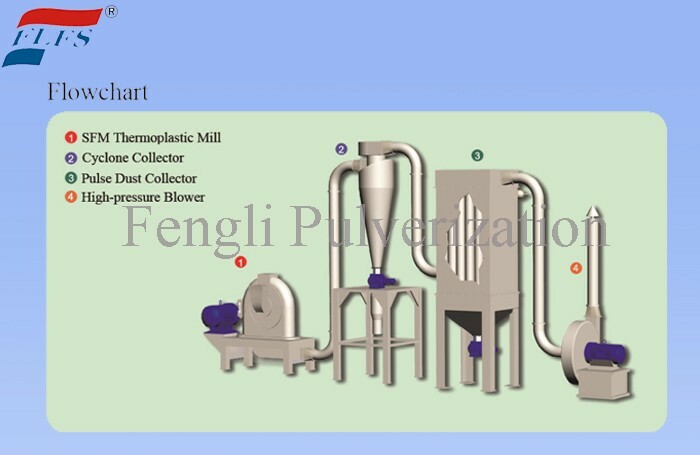 Thermoplastic Fine Powder Mill has been developed through absorption of the advanced foreign technology can finish the normal temperature pulverization of thermal plastic (such as Polyethylene, Polyvinyl chloride(PVC),Polypropylene, nylon etc),it have the merits of low energy consumption, uniform fineness and convenient operation by comparison with the low temperature freezing pulverization equipment, it is a ideal equipment of processing plastic powder under normal temperature. 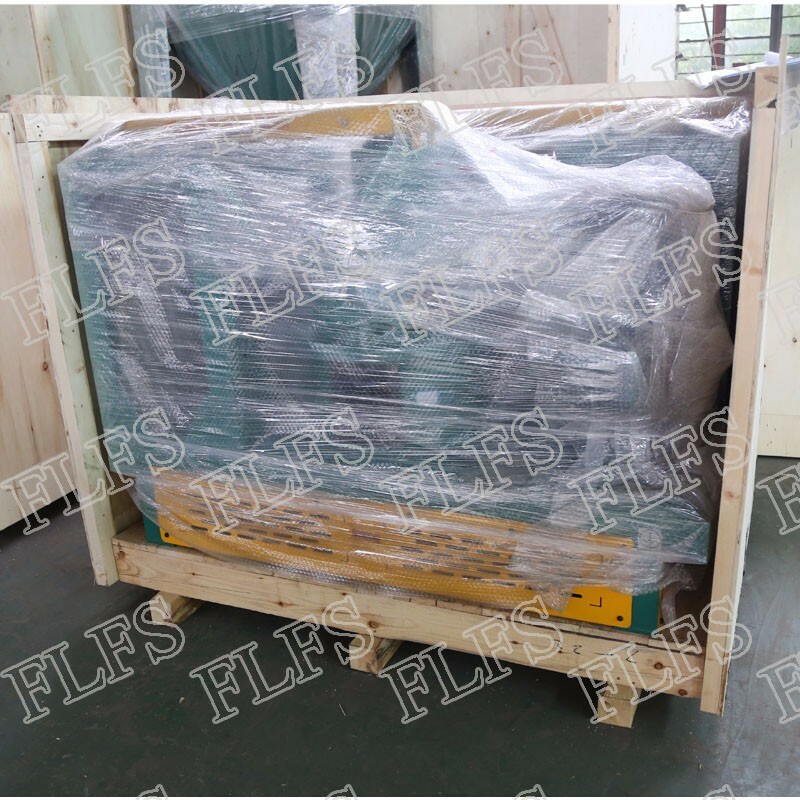 the equipment have passed the appraisal of provincial new product, and be ranked in national key new product, and obtained national patent. 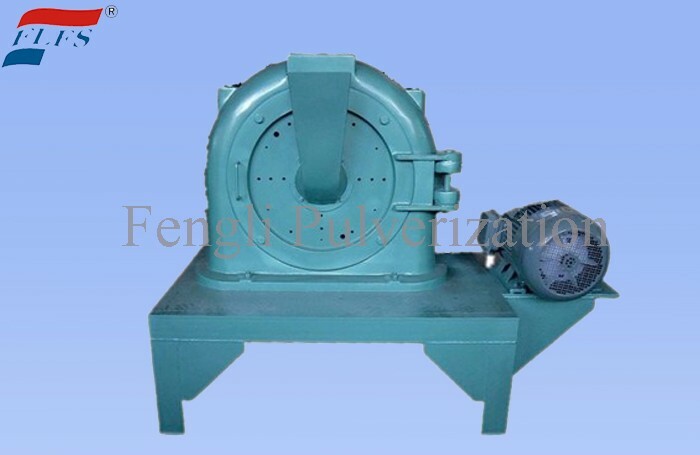 （1）Disc design novel, unique, with shear, impact, grinding and other functions, uniform finished product size, narrow distribution. 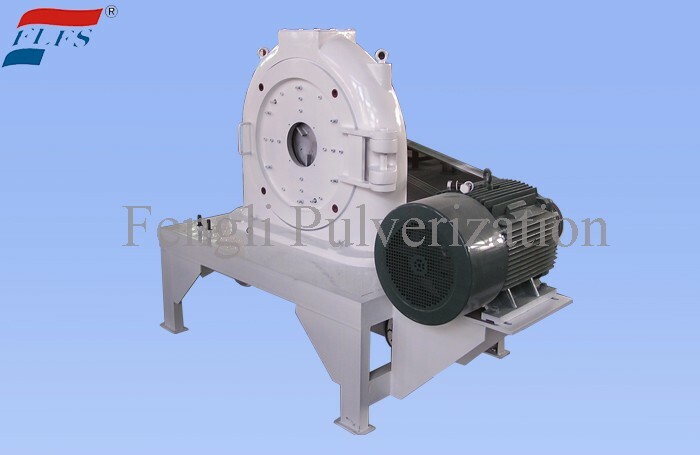 （2）Using two kinds of wind, water cooling device, the materials in the grinding heat generated in the process of timely take and exchange, so the crushing chamber temperature rise is small. 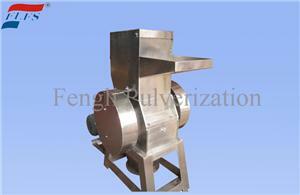 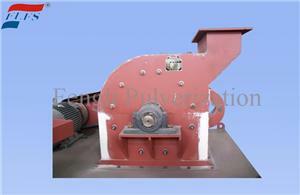 （3）The machine adopts a novel strong narrow V belt transmission. 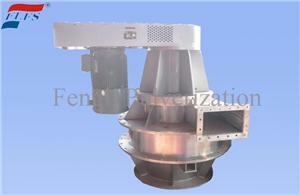 Having a large transmission power, stable running, high efficiency. 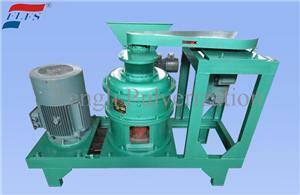 （4）Repair, operation and convenient cleaning.